I am engaged in intermedia artistic activities. Through the body which is a matrix, a filter and a vehicle, I find my language of expression. I reach to the hidden experiences and subtle areas of the soul. Emotions and thoughts release breath and movement. Reactions, their observation, and finding perceptions – they are a treasury for the registration of reflexes, traces of presence or lack thereof. The body suggests the selection of tools. Fragments of texts and personal poetry are an important part of creation. Flexible flow of impressions and expressions allows me to work with various media – both traditional, as well as new. I employ video art, installation, live visuals, performance, site specific. I often work in Nature and draw from it. Since 2011, I have focused on group collaboration, created in a very specific way. My research has revolved around finding ART SYNERGY. 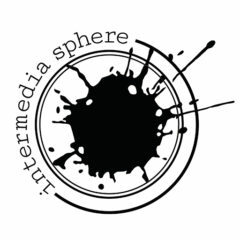 The communication support system between Intermedia Art and Integrated Media Performance. For many years, I develop in raising the awareness of the body by regular practice and participating in workshops of: Modern Jazz, dance improvisation, Contact Improvisation, Butoh Dance, 5Rhythms, performing activities, Hatha Yoga, work with breath and voice. In 2013 I graduated from the Inter-University Multimedia Program at the Fryderyk Chopin University of Music in Warsaw. In 2011 I completed a Postgraduate Pedagogy at Academy of Fine Arts in Warsaw. The same year I successfully defended PhD thesis entitled THE FLOW at the Faculty of Media Art and Stage Design of the Academy of Fine Arts in Warsaw. In 2006 I began working for the Academy of Fine Arts in Warsaw, where I currently reside at the Faculty of Media Art in the Intermedia Communication Studio. I studied at the Faculty of Graphic Arts of the Academy of Fine Arts in Warsaw. In 2004 I obtained a MA entitled diamond with honors at Prof. Rafał Strent’s Graphic Art Studio. Thesis title: THE FLOW. Communication in Intermedia. Images from the trip. Since 2006 I have been working at the Academy of Fine Arts in Warsaw. Since 2009 I have been co-creating with prof. Krzysztof Olszewski, Intermedia Communication Studio at the Department of Media Art. Depending on the changes taking place at the Faculty of Media Art and Stage Design and later at the Faculty of Media Art, classes were held at various levels of education.